How does the 130 differ from the other Schwinn Bikes? Why should I purchase the Schwinn 130 Upright Bike? What do others say about this bike? Cycling is one of the best forms of exercise and for those who can’t afford to go on actual cycling exercises, a nice cycling machine in your home gym is your best friend. Finding a cycling bike that is perfect for your frame, preference and workout regimen is important. 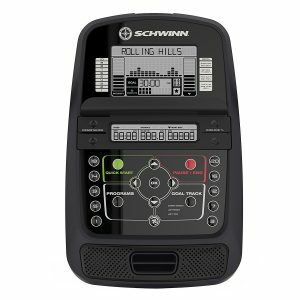 This is why Schwinn continues to come up with products that are innovative, deliver the best workout performance, and are packed with features to suit your workout needs. 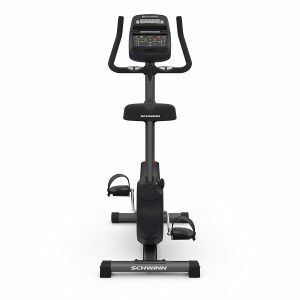 The Schwinn 130 Upright Bike sits in the middle of the upright bike range from Schwinn. Above the 130 is the Schwinn 170 Upright Bike. The 130 retails at about $350, vs $450 for the 170. The 130 is Schwinns entry level model. Released new for , it moves on from the 120 model released for 2012 in a few ways. The 120 was a highly regarded bike receiving high praise from customers for its quality and reliability. There is no reason to expect this model to be any less so. 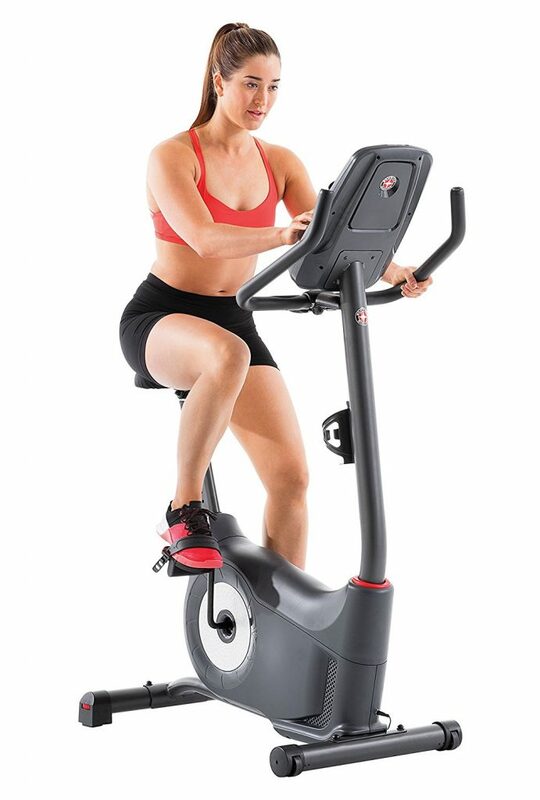 This is the big brother to the Schwinn A10 Upright Bike reviewed Here. The next model up is the Schwinn 170 which you can read about here. The console has been upgraded to make it easier to read, and have few more programs built in. It now features 22 workout programs, vs 6 for the 2012 model, 16 resistance levels vs 8 previously. It looks like Schwinn have put some thought into the subtle design features that usually go unnoticed but add up to a respectable set of changes. If you enjoy doing intense cardio routines, you would definitely enjoy using this machine. It’s a good entry level fitness product for anyone who wants to spice up his or her routine on a regular basis, and a good upgrade on 2012. More so, it’s great if you want to take your weight loss plans to the next level. Aside from being manufactured by one of the best fitness brands in the industry, this newly released bike has a number of features that are very functional and very useful. With easy-to-use features, a well-designed console and a very affordable price point, the Schwinn 130 is easily your best bet for a cycling partner in the home. Well, with the suite of features and price a shade under $350 its an attractive offer. If you are looking for a more powerful bike capable of pushing you a little more then I would recommend the next model up in the Schwinn range the Schwinn 170. But for an entry level bike this would make a great choice. Not only is Amazon a very reliable retailer, they also provide good customer service and hassle-free shipping. In addition, you can also avail of a 2-year warranty add-on to provide additional protection for your machine. This is a good bike from a hugely popular company. With this updated bike they have really push out the brand with a great quality low cost bike. If you want a comfortable bike that will make your workout feel good then the 130 is a great choice. At less than $350 this is a great way to kick start your exercise routines. A budget bike that packs all the features you need.